welcome to round two of fail friday! fail friday is the showcase and celebration of failure…the funny, the ridiculous, the big and the small mistakes that makes us beautifully imperfect. I am so excited to welcome the inimitable meg from elsie marley! in addition to running the amazing and inspiring bi-annual kids clothes week challenge, meg is a fervent sewer, decorator, baker and mother. her hip, spare style sense is matched only by her witty and honest voice. she is truly unparalleled and not one to shy away from an elbows-on-the-kitchen-table type of conversation. so much so that I think much of the blog world feels they are sat down right next to her. indeed, a few of her posts motivated this whole failure series. so, grab a mug of something hot and settle in because, here is meg! Let’s start with A, shall we. The plan was to upcycle one of my old shirts using Rae’s Flashback Skinny Tee pattern. I screwed up on the very first step: I cut out two front pieces instead of a front and a back. No problem, I thought, one mistake I can roll with it–even though it is a pretty big one. I hatched a new plan with a redesign in mind and started to sew. Looks pretty decent from the front, eh? Whoa! where did that crazy, ruffle-y piece of poo come from? Fail! To make the front piece into a back piece, I had to patch it. I thought hey, I’ll use the gray ribbing for the patch and all the edgings and then make some epaulettes thingies too so the whole thing looks like it was intentional. I sewed one patch on, too small. Ripped it out. I sewed the second patch on, a little bigger, but still too small. Ripped it out. Cut the patch out again, said screw it, I’m sure this one is big enough and I serged it. It was a little wavy at this point, but nothing an iron couldn’t fix. I soldiered on: made the shoulder patch doo-dads, sewed the sleeves, then put together the whole shirt. The neckline was the last thing and wow! it took the back patch from a little bad to OMG there is an enormous, fat, dead, gray worm on your back! Of course my son loves it. The shirt is pretty much a failure, but had I not kept at it I would never had added the shoulder detail, which I am totally in love with. And a little back yoke could look cute too, if it’s less dead-wormy. Sometimes you keep at it and good things happen, sometimes you keep at it and things go in the toilet. I started this shirt 2 years ago. It was for my oldest son, who was then 3. I tried to size up the 90 minute shirt pattern and I sized it all wrong. The lapped collar too overlapped (ha!) so the neck hole was very small (I remember him making dramatic choking noises when he tried it on). The shirt was short sleeve then and the sleeves were all kinds of wrong too. So it sat jammed in a corner, because the fabric is this lovely soft jersey (I used it for baby pjs too) and I couldn’t throw it away. There is something so relieving to see that everyone has sewing disasters! I too had one during KCWC. I tried to resize Dana basic pants pattern to fit my 15 month old and boy did things go wrong! They ended up being unwearably small. 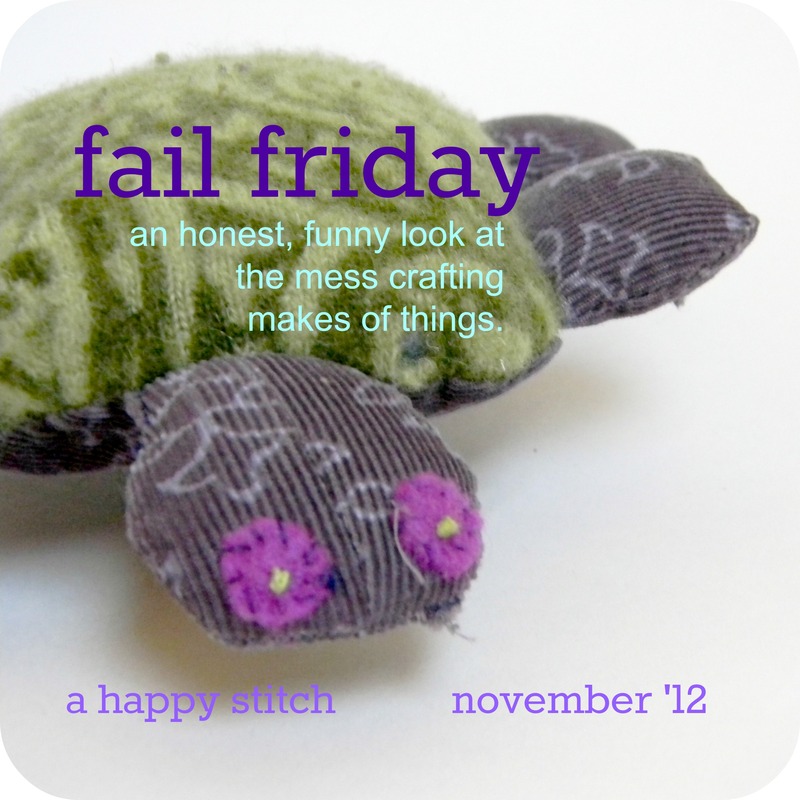 As frustrating as it was at the time you know everyone that sews must have failures too! Thanks for sharing yours. hey amanda. hip, hip hooray for our failures…at least they bring us good company. I had a similar fail with my 90 minute shirt too ahah. Except the neckline was too big and looked a bit… he looked dandy. Not going to lie I laughed out loud when I saw the back panel! flickr pool is a genius idea! and meg, i hope you try that epaulet shirt again, intentionally this time! it’s ALMOST great! oh, please do! as my kids say, sharing is caring. This post is laugh out loud funny, just hilarious. And the picture of the worm at the back is too funny. I loved the honesty and I don’t feel quite so bad about my own batch of t-shirts that – dang it – just. refused. to. go. over. my. boy’s. head. Refreshing and somehow reassuring to know that fabulous blogger’s like you sometimes make mistakes like the rest of us. Woot for getting back on the horse! hehe… dead-wormy. love it. Refreshing to see someone admit their imperfections. Makes me not feel so bad! Fun series… and yes… there should be a Sewing Failure Flickr pool, no?? ?